Austin Resource Recovery customers receive twice-per-year collection of bulk items. This list is not all inclusive, please visit the What Do I Do With..?  page (on the City of Austin, Austin Resource Recovery website) to see if your item is collected during bulk collection. This layer represents the jurisdiction and regulatory boundaries of the City of Austin. Combining districts alter the use or development standards of a base district. the base district such as building heights, impervious cover, and setbacks. combining districts. These are included in the base zoning GIS layer.